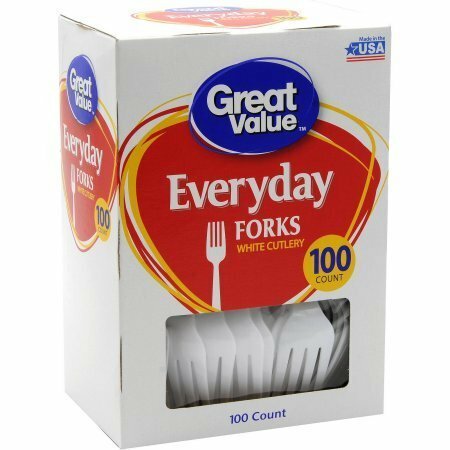 Add convenience to any meal with these Great Value White Forks. The plastic forks come in a 100-ct pack and will reduce the amount of time you spend cleaning up after a meal. The disposable forks are good for picnics and family gatherings. The disposable forks are good for picnics and family gatherings. The plastic forks come in a 100-ct pack and will reduce the amount of time you spend cleaning up after a meal. Add convenience to any meal with these Great Value White Forks. If you have any questions about this product by Great Value Forks, contact us by completing and submitting the form below. If you are looking for a specif part number, please include it with your message.